Get 250,000 750,000 Skill Points & 600,000,000 ISK for FREE! I’ll cut to the chase! If you’re thinking of starting to play Eve, or even starting a second account, let me help you get a head start with FREE Skill Points and FREE ISK. By using the referral link on this website, when you create your character, he / she will have an extra 750,000 Skill Points to spend, completely free of charge, in addition to the 400,000 or so you already begin with. You WILL NOT get this if you just register a new account. Also, if you use my referral link, then upgrade to an Omega account (ie start paying a monthly sub), I will send you 500,000,000 600,000,000 Isk. Yep, 500 million 600 MILLION ISK. If that’s all it takes to convince you, go right ahead now and start playing. Still unsure? Keep reading pilot. I’m biased, but yes, it’s probably the best game you’ve never played. No need to take my word for it though, Eve is now Free To Play. However, as with most F2P games, it really comes into it’s own when you add a paid subscription. If you want to see the differences for yourself, look here. Using my Recruit A Friend link above allows you to create a free account with an additional 750,000 skill points you wouldn’t normally get if you created an account direct through the Eve-Online website. Once ingame, I always advise the best place to start for advice is the Rookie Help chat channel, and having a read of this, courtesy of Eve-Uni. What is the risk to me? Creating your Eve-Online account through my link above is absolutely risk free. I don’t need, nor will I ever ask for, any personal details or payment information. Once you create an account with my link, you will instantly get your additional 750,000 skill points. You claim them in-game from the redeem items menu. When you decide to upgrade to an Omega clone (ie. paid subscription), you do this using a supported payment method (see FAQ’s for full list) and once done, contact me in-game (within 3 days) and I’ll arrange your Isk, usually within 24 -48 hours. If you don’t ever upgrade to an Omega clone, that’s fine too, nothing lost. What method should I use to pay for my account? Your account can be paid for using any of the methods CCP provide. However, I can only claim a PLEX reward if you pay using Credit/Debit cards, PayPal, WebMoney Transfer, paysafecard, and iDeal. This in turn means I can only give you your 600,000,000 ISK if you subscribe using one of the above methods. Can I subscribe with a PLEX myself? No. The following payment methods WILL NOT work for this offer: Direct Debit, CD Keys, including CD Keys purchased or received from non-CCP sources and online stores such as, but not limited to: Steam Store, Direct2Drive, Gamers Gate, Impulse Driven. You can only use the payment methods listed in the previous question to guarantee you get your 600,000,000 ISK. Can’t I buy ISK for real world cash? Absolutely not. The purchase of ISK for real word cash is against the rules and will, quite rightly, get you banned. You can purchase PLEX direct from the Eve account page, and then sell in-game for ISK. This is allowed. Any other method of obtaining in-game currency in exchange for real world cash is strictly prohibited. How do I know you will send my ISK? 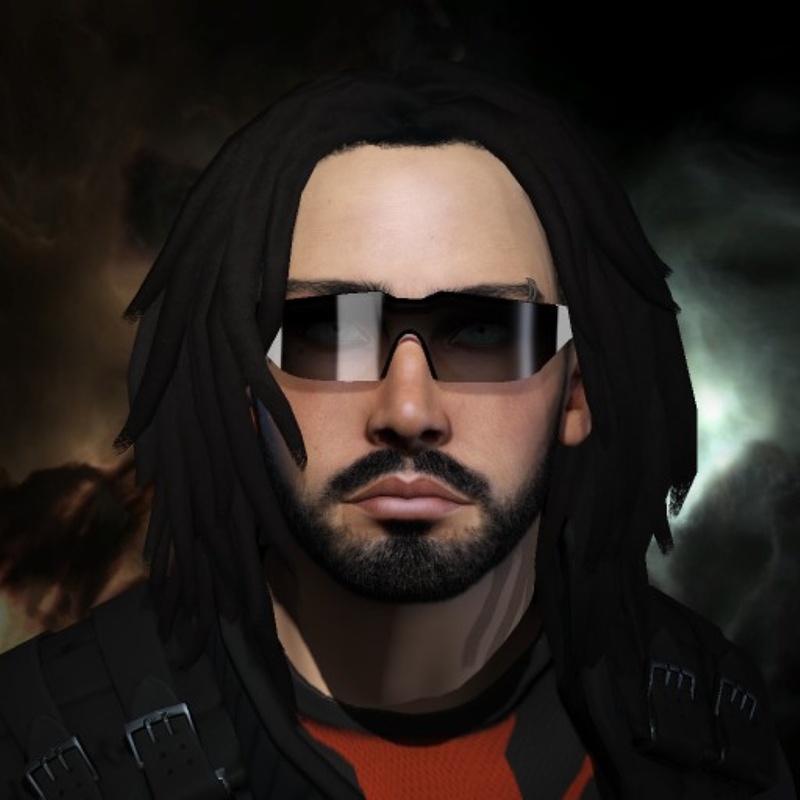 In Eve-Online, reputation is everything. Sure, I could make a couple of billion at first by not honouring my word, but people would soon catch on. Before long, no one would trust me and business would dry up very quickly. Over the long term, this would be a very stupid thing to do! Additionally, ISK is not all that hard to come by in Eve. For a new player, 600 million ISK is a significant amount, but when you have been playing for a number of years, it’s not that big a deal anymore. If you do start playing, you will see that for yourself soon enough. I’m stuck! Eve is hard, please help me! You’re not the first, and you certainly won’t be the last person to think that when starting Eve for the first time. I did! Stick with it though, the rewards make the learning curve worthwhile. If you ever need help, advice, or just someone to bounce ideas off, you can always look me up in-game, character Type Blue. Isn’t this the same as buying ISK for cash? Not at all. The recruit a friend program is designed to reward players who get friends to sign up for paid accounts, as ultimately this benefits CCP and the game as a whole. I have every right to keep the PLEX I gain from you signing up, and it’s my choice to give you 600 million ISK as a thank you for using my recruit a friend link. How long do I have to claim my ISK? You need to contact me within 3 days of converting to an Omega clone. Most people contact me within 3 minutes! Any longer and it becomes difficult to track who has converted. It helps if you also provide the date and time you originally signed up for your account. I may not always need this, but sometimes I will, so I’d always advise sending this information anyway. After 3 days I’ll still try and match up your details on the CCP “RECRUITS AND REWARDS CENTER” page, but it’s not always easy when there are a lot of people converting, so no promises! After 7 days, if no one claims, I’m afraid my offer will not longer be valid so please, get in touch as soon as you can to avoid missing out. The best advice I can give is to only convert when you can log into the Eve client, and the minute you convert, send me an evemail with your details. Do that, and your ISK is guaranteed. Disclaimer: This site is in no way affiliated with CCP or Eve Online. EVE Online and the EVE logo are the registered trademarks of CCP hf. All rights are reserved worldwide. All other trademarks are the property of their respective owners. EVE Online, the EVE logo, EVE and all associated logos and designs are the intellectual property of CCP hf. All artwork, screenshots, characters, vehicles, storylines, world facts or other recognizable features of the intellectual property relating to these trademarks are likewise the intellectual property of CCP hf. CCP hf. has granted permission to Type Blue to use EVE Online and all associated logos and designs for promotional and information purposes on its website but does not endorse, and is not in any way affiliated with, Type Blue. CCP is in no way responsible for the content on or functioning of this website, nor can it be liable for any damage arising from the use of this website.